The car buying experience I always wanted! Tim Williams responded to my online questions quickly and after setting up a time the next day to see the vehicle, we were able to make it happen. He and Nick made things stress-free and comfortable. I love my van. Thank you, guys! 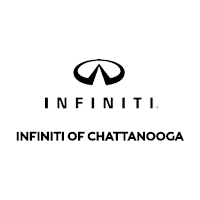 Welcome to INFINITI of Chattanooga serving South Tennessee and North West Georgia! We have a great selection of sporty coupes like the 2019 Q60, comfortable sedans like the new 2019 Q50, and spacious SUVs like the new 2019 QX80. We also have a large selection of certified pre-owned INFINITI vehicles. You can order parts or schedule a service appointment online. Visit our dealership and test-drive the Q70 Sedan or all new QX50 Crossover. We also invite you to test-drive the award-winning Q60 Coupe. Our Chattanooga dealership has an extensive inventory of used and certified pre-owned INFINITI vehicles. Whether you’re looking for a used sedan, convertible, or SUV, we have it on our lot. The selection of our used vehicles will surely impress any buyer. When searching for a reliable service center, consider INFINITI of Chattanooga. We are located in Hamilton County, also serving neighboring counties of Brandley County, Polk County, and Marion County. Our certified service staff has been handling INFINITI vehicles for years and knows them well. We also have a parts store that has quality products for your INFINITI SUV, crossover, coupe or sedan. Check our hours and directions page, if you need any additional help in finding our location. Deciding whether to buy or lease an INFINITI vehicle? Get in touch with our financing department and they will work out the best scenario for you. Just fill in your information in the Payment Calculator and our financing staff will get you the best plan possible. Fill in the Finance Pre-Qualification Form or call us to learn more about vehicle financing!